Product description: ONE INDIAN GIRL is written by Chetan bhagat and published by Rup-h. Buy ONE INDIAN GIRL by Chetan bhagat from markmybook.com. An online bokstore for all kind of fiction, non fiction books and novels of English, Hindi & other Indian Languages. Hi, I’m Radhika Mehta and I’m getting married this week. I work at Goldman Sachs, an investment bank. Thank you for reading my story. However, let me warn you. You may not like much. Three, I have had a boyfriend before. OK, maybe two. 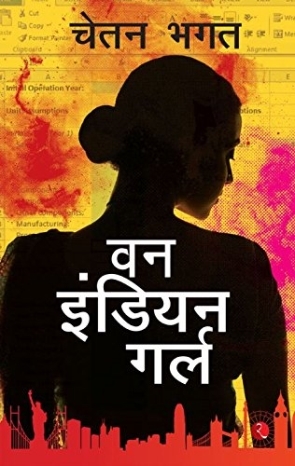 From the author of blockbuster novels Five Point Someone, One Night @ the Call Center, The 3 Mistakes of My Life, 2 States, and Revolution 2020 and Half Girlfriend comes a crazy story from the point of view of a girl about love, dreams, career and feminism in modern India.